Finely chop the red chili pepper and remove the seeds, depending how hot you like your salmon. 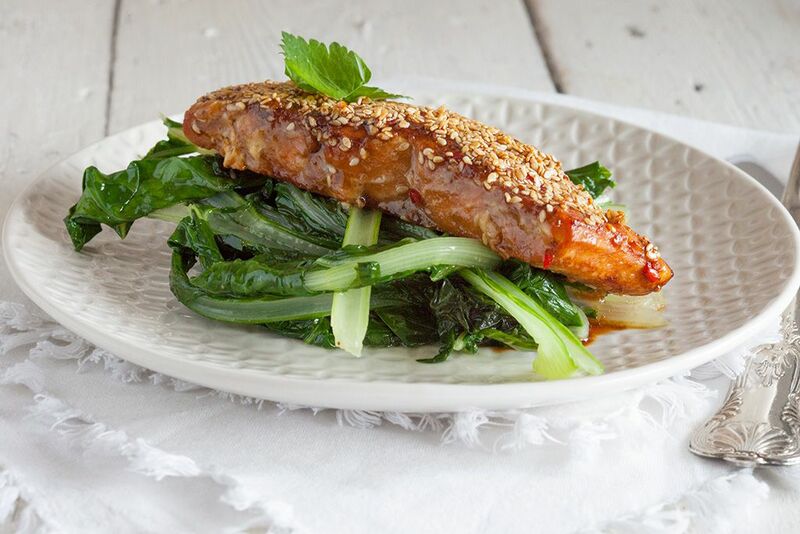 COMBINE soy sauce, ginger syrup, sesame oil and the finely chopped red chili pepper in a medium-sized bowl. Check the salmon fillets, maybe it still contains some of the bones. If so, remove them with a fish bone tweezers. 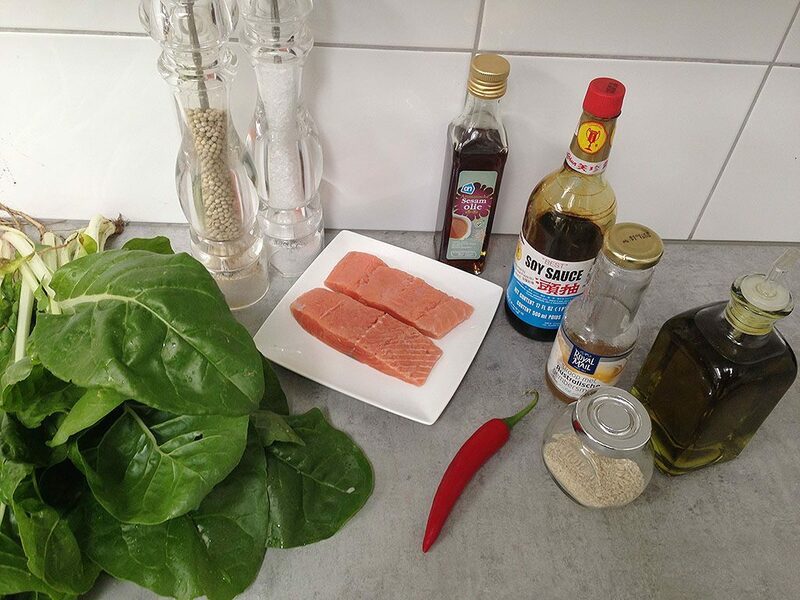 PLACE the salmon in the bowl with soy sauce and marinate it for at least half an hour. You can also place the salmon and marinade into a ziplock bag. RINSE the swiss chard and make sure it’s dried well with a salad spinner. If you’re serving this dish with pasta, you should cook the pasta of your choice according to the package. 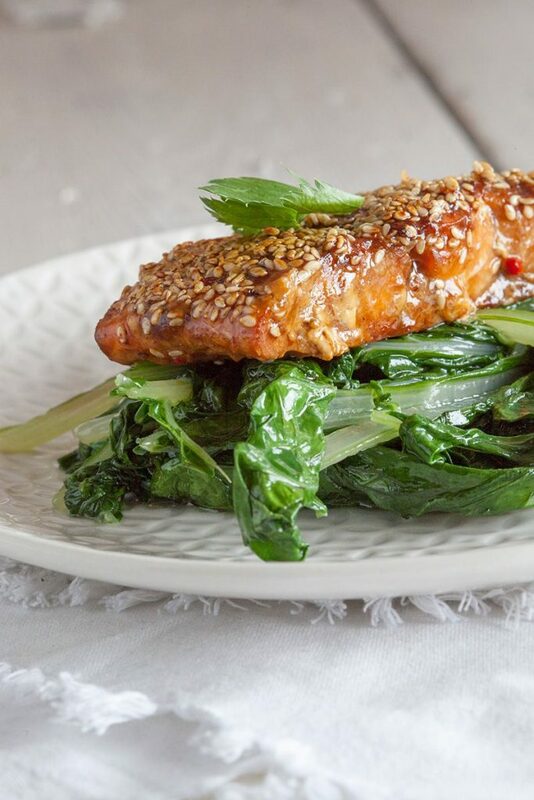 PLACE the sesame seeds on a plate and PRESS the salmon fillets on one side into the seeds. ADD a bit of olive oil to the medium-sized skillet and immediately place the salmon, sesame seeds side down, in the cold pan. Then heat it up on medium heat. You’ll notice the salmon will become heated up all the way to the inside, without it becoming dry. 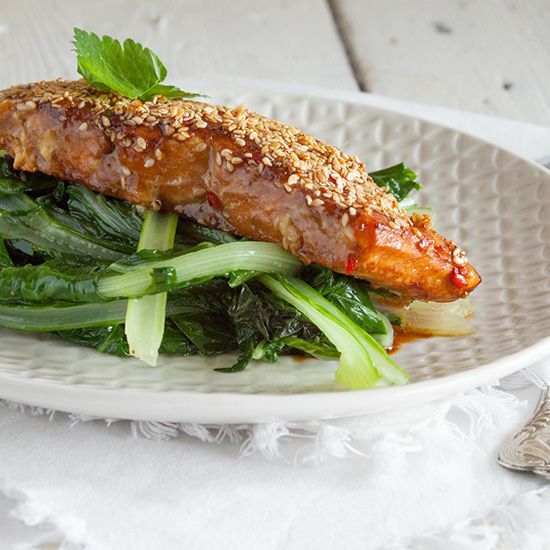 After a few minutes, you’ll notice the sesame seeds are becoming beautifully brown, then turn the salmon over. HEAT olive oil in a second medium-sized pan and saute the swiss chord for a few minutes. SEASON with pepper and salt and add a bit of the soy sauce marinade. Serve with pasta and if you like, green peas taste amazing with this dish too! Enjoy!